The Primary Treehouse: Liebster Award! So honored! I am so excited to announce that I have been nominated for a Liebster award!! YAY! I am so honored! Pauline over at First Grade by the Sea nominated me and I cannot thank her enough! 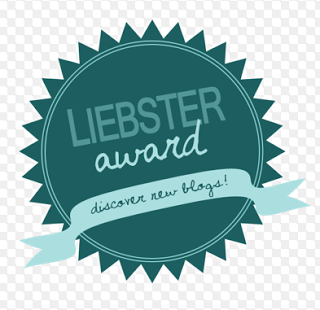 The Liebster award is for new blogs with less than 200 followers. I am honored to accept the award as well as to nominate more blogs like mine! 2. Nominate 5 - 11 blogs with fewer than 200 followers. 3. Answer the questions posted by your nominator. Becky at First Grade Friend-Zee! 1. What is your favorite subject to teach? Reading is definitely my favorite subject. I recently got my Master's degree in Reading and Literacy. It is kind of ironic, as I started out in college as a math major. I always loved math and thought that I would be a middle or high school math teacher. As the world of little ones was opened up to me, I realized that I couldn't want anything more. I got my first job as a second grade teacher and was floored. I was planning on teaching upper elementary and I felt like I truly had no idea what I was doing. Fortunately I had a great principal and a great curriculum coordinator that was willing to send me to some amazing conferences! I met Timothy Rasinski, Ruth Culham, Erin Gruwell, and more! That's when I knew I loved to teach reading! Now, as a first grade teacher, I think that reading, above all, must be your priority and hopefully your favorite! 2. Why did you start blogging? I started into the blogging world as an observer. 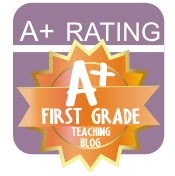 I enjoyed following teaching blogs and getting some ideas. The more that I go into it, the more that I realized that I could be more than an observer. I could create products to share. I had ideas to share. I could use feedback on my work. 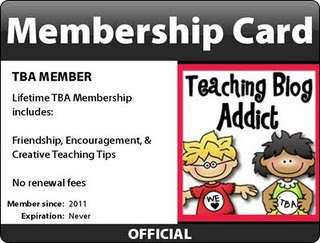 I could use a network of teachers to help me to become a better teacher. Then I started to blog. 3. What is your favorite part about blogging? I love getting feedback and learning new ways to make myself a better teacher. I love sharing ideas with other teachers, bouncing ideas around, and getting new strategies! It is like having a huge "team" online! 4. What would you have done if you did not become a teacher? If I had not become a teacher.... I have no idea. I have always known I would be a teacher. Some thoughts that I have had though: a children's author, a cartoonist, a social worker, a counselor, a singer, a wedding planner... LOL I guess the world would be pretty open to different opportunities! 5. What is something that is on your bucket list? To write a children's book. I have so many ideas, but have never thought my writing to be good enough for publishing. So for now, I will just keep writing down my ideas. Maybe one day I will be brave enough and find enough time to turn into an actual book! 6. What is your dream vacation? Italy! I have always dreamed of visiting Italy. To be able to see the ruins, and visit Florence, and ride one the gondolas. I imagine it would be amazing! 7. Where did you go to school? I went to school at Bridgewater College in Virginia. It is a small school in the Shenandoah Valley and it is wonderful. I loved going to a small school, where the professors actually knew me and I knew them. I felt like I was a part of something and not just a number. 8. What is your favorite children's book? Oh that is a difficult one. I love so many! Let's see, one of my favorite children's books is Stand Tall Molly Lou Melon! This book is absolutely adorable and great for the beginning of the year and teaching about how everyone is different and that is what makes us special. 10. What accomplishment are you most proud of in your life? My children. I have three amazing, smart, crazy, wild boys! While they keep me very busy, I could not be more proud of the young men they are becoming. 11. Are you married? Do you have children? I have been married for nearly 8 years and we have 3 boys together! 1. I love to read. I can pick up a book and be lost in it until it is done. I will laugh and cry with the characters! 2. I used to draw cartoons. I know it sounds silly but I used to love drawing cartoons and when I was in third grade won an award for it at our county fair. 3. 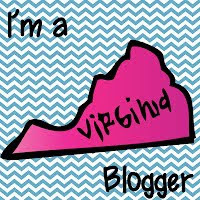 I have been teaching myself how to do designs for my blog and graphics. I research it online and try it out until it works. 4. My husband is from England. 5. I have my Master's degree in Reading and Literacy. 6. My family used to raise pigs when I was a little girl. 7. I went to Hawaii for my honeymoon and can't wait to go back. 8. I have a little sister and became an aunt in April! 9. I used to live and teach in South Carolina. 10. I gave my boys unique names because I was one of 5 "Jessica"s in my graduating high school class and one of 3 on my first grade team. My boys are Jonah, Carson, and Grayden. 11. I love a pretty garden but cannot keep a plant alive to save my life. I always worry when I teach plants at school!! 7. Where did you go to school? 9. What is one goal that you have made for yourself this year? 10. What accomplishment are you most proud of in your life? 11. Are you married? Do you have children?